I am mainly inspired to start Marebo Fm because the community which mainly comprise of Kuria people does not have a local radio station which broadcast in local language. Airing news in kuria language will inspire community to endeavor in peace and unity and forge a common course be it socially, economically and politically. This will also provide a safe, fun environment where all local people develop healthy habits and lifestyles, and forge relationships with other local communities. The earnings from free to air commercial services may provide particular support for kuria families whose children struggle with school, or have difficulty making friends, by linking children up with individual one-to-one volunteers who support them to access the sessions and build friendships with other children, hence, empowering the community at large. Marebo Fm because the community which mainly comprise of Kuria people does not have a local radio station which broadcast in local language. Airing news in kuria language will inspire community to endeavor in peace and unity and forge a common course be it socially, economically and politically. This will also provide a safe, fun environment where all local people develop healthy habits and lifestyles, and forge relationships with other local communities. The Fm station will be deal with free to air commercial services, and highlight the issues affecting the community and ways to empower the people around. 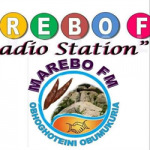 MAREBO FM is a radio station with a mission, on a mission. We aim to contribute to:- educate, inspire, stimulate and entertain through programming that reflects the diversity of the community. provide a space for media access and education, placing equipment, skills, and critical tools in the hands of the community. Broadcast programs designed to serve the needs of those not currently served by other broadcast media; be a voice of many voices offering a wide variety of people an opportunity to share their experiences, concerns, and perspectives with their neighbors. beyond broadcasting, we will engage in a wide variety of cultural, educational, and social activities and collaborations as an integral part of our neighborhood Serve with particular regard for those overlooked or under-represented by other media and to provide for the exchange of cultural and intellectual ideas discussion on issues of Local, Nation and International Importance. Inform citizens of the significant issues facing society, thus contributing to the development of a community capable of dealing intelligently with those issues and providing a forum for citizens of the community to express those opinions. entertain and enrich the lives of our listeners by presenting the significant and diverse in the fields of music, the arts, and ideas in an appealing, professional way that will tend to encourage new insights to life, people, and relationships in a changing world. maintain the highest possible professional standards of program content, presentation and technical quality within the broadcast industry in affirmation of its leadership role in the national public radio community, as measured by the traditional standards of audience and budget size add to the quality of life of the community by increasing the awareness of the beauty, richness and depth of the Kuria cultural heritage through a broadly diverse presentation of its classical music give its listeners a thoughtful, thorough and well-balanced coverage of current events, personalities, and social, political and cultural issues that affect them in their daily lives. Promote the rich cultural heritage and resources of the Kuria to a national audience through network distribution of locally produced programs.